Wallbeds Northwest makes organizing your closet easy. 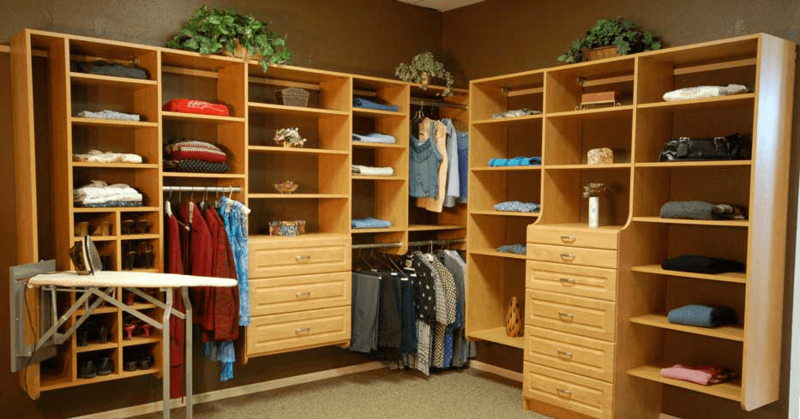 From simple reach-in to elaborate walk-in closets, Wallbeds Northwest will guide you through the process of organizing your closet while making it an enjoyable experience. Our extensive experience in designing and manufacturing space-saving furniture and our reputation for building quality furniture and cabinets will be a great benefit to you. With Closets Northwest the choices are endless. From simple reach-in to elaborate walk-in closets, we offer a custom fit without the custom charge. Closets Northwest services the greater Seattle and Eastside areas, all the way from Monroe to Maple Valley, Bellingham to Bellevue, Seattle to Sammamish, Redmond, Tukwila, Kent, Auburn, Woodinville, Bothell, Burien, Kirkland, Everett, Marysville, Des Moines, Federal Way, Issaquah, Kenmore, Medina, Mill Creek, Mukilteo, New Castle, North Bend, Snoqualmie, Shoreline, Snohomish, Tacoma, Lynnwood and more! Give us a call today!